Hello Friends! Welcome to The Homemaking Party! Hope you're all having a happy week so far. I've been busy setting up a second Etsy shop---one dedicated to letter writing and mail art to complement my Victorian Letter Writers Guild. 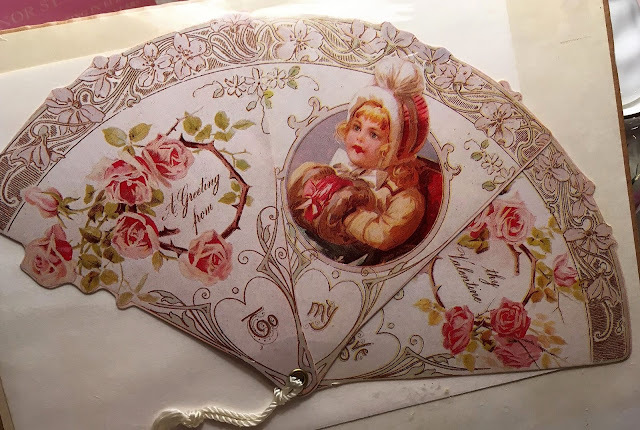 Tonight I listed four of these antique reproduction paper fan Valentine's Day cards. They are so adorable and unique! I'm sure they will sell out fast. I've also got a card for sale with a full letter written on the back of it. 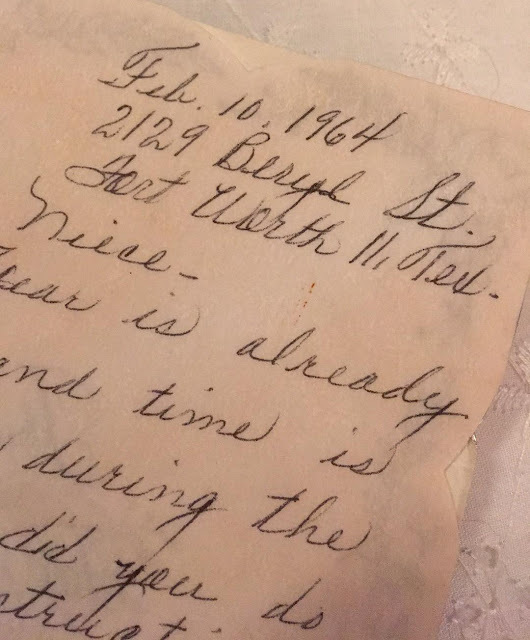 The letter dates to 1964 and is good for a couple of laughs! 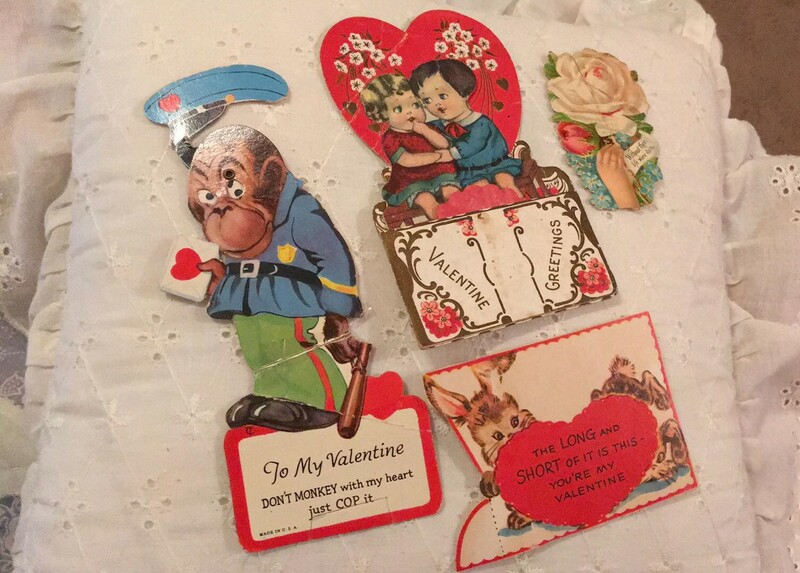 I've also got these bits of vintage Valentines that need a little TLC. I thought they'd be fun to incorporate into a junk journal or other mixed media project. I'm selling them as a set. 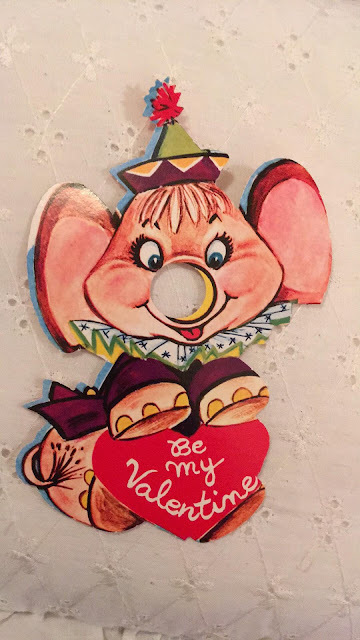 I've got this cute elephant Valentine, as well. He's so sweet and is used as a finger puppet for little hands. Adorable! What kinds of fun Valentine's crafting do you have planned for this season? I'm hoping to get out some cards to my Guild members and a few other special people. Thank you for hosting. Your vintage cards are delightful! 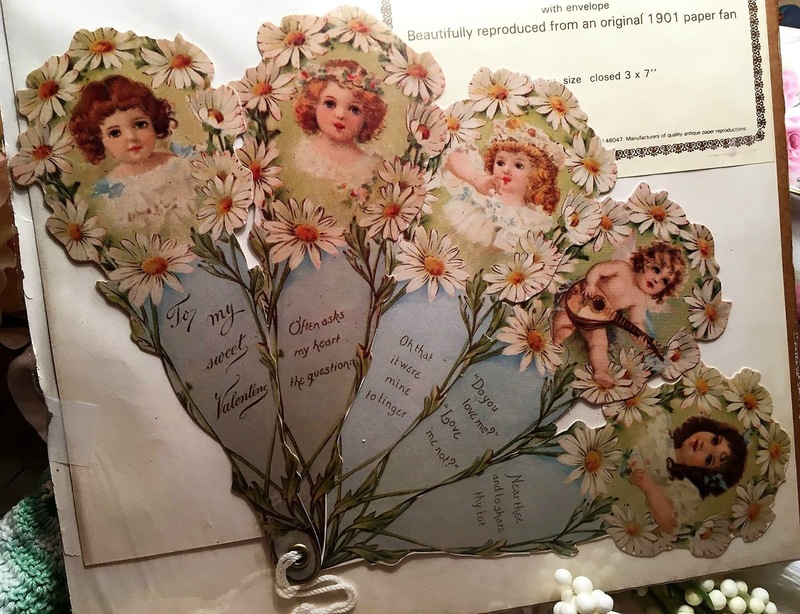 Vintage valentines seem to run the gamut from lovely to laughable! Thanks for sharing yours. Love the handwriting on that one from 1964! Thank you for hosting, Sarah! I love the vintage Valentines, somehow I'm old enough to remember some from when I was a little girl. Pretty handwriting and I write very much like it, lol.. Thank you for hosting for us this week.